Are you ready for Freddy? Add some gaming style to your wardrobe with this awesome official Five Nights At Freddy's boy's t-shirt! 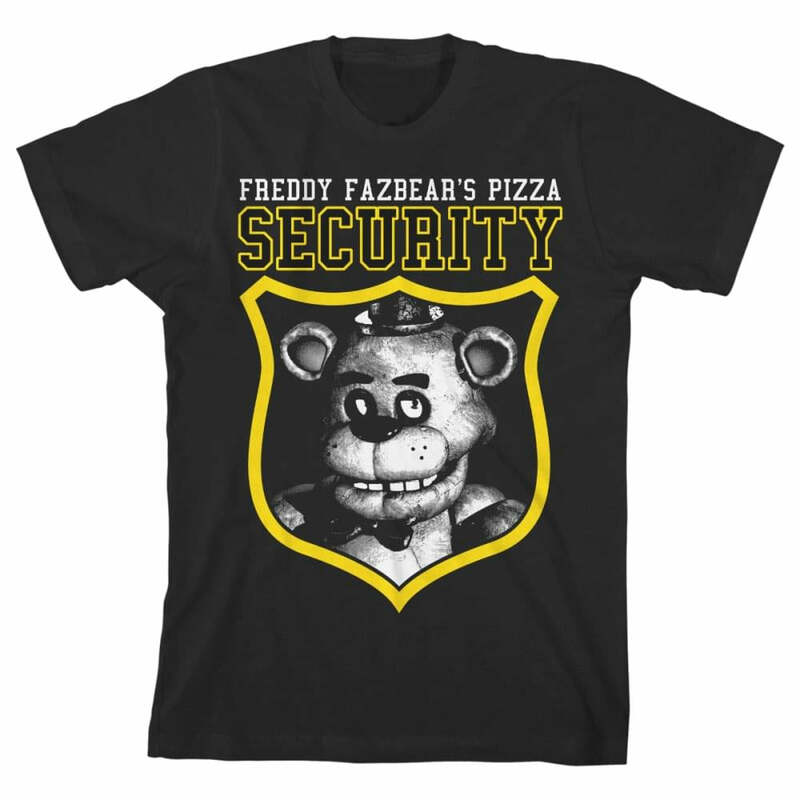 Inspired by the survival horror game Five Nights at Freddy's, this black t-shirt sees an awesome print across the front showcasing a the animatronic character Freddy Fazbear in a gold shield and the words "Freddy Fazbear's Pizza Security". Youth 8-20 sizing. 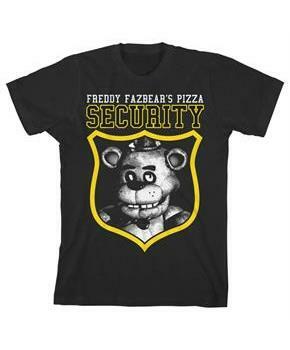 Black t-shirt sees an awesome print across the front showcasing a the animatronic character Freddy Fazbear in a gold shield and the words "Freddy Fazbear's Pizza Security".